Great Condition!!! Low price!!! Rare vehicle runs and drives great. Well maintained. Very clean and sharp car!!! 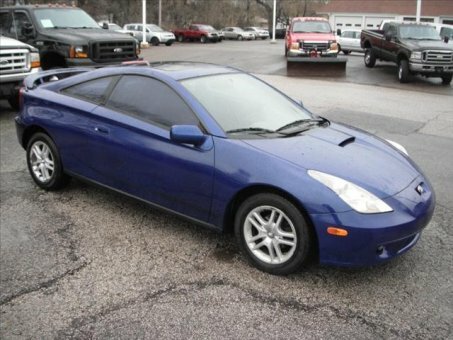 This is a very clean 2000 Toyota Celica GT with 127202 miles on it. All electrical and optional equipment on this vehicle have been checked and are in perfect working condition. Engine is mechanically sound and can be driven anywhere with confidence. The inside of this vehicle is smoke-free. The miles you see are the actual miles for this vehicle. The transmission shifts smoothly! This is a very nice previously owned vehicle. This 2000 Toyota Celica comes with set of good tires!! !